Take your knitting in a new direction! 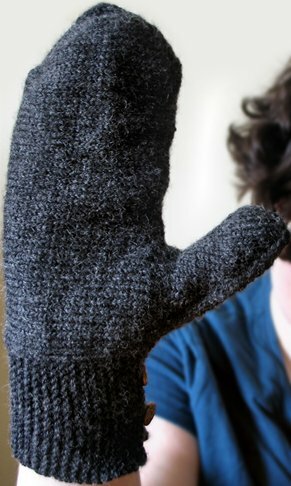 Cast on at the outer edge of the hand and worked sideways in one piece to the tip of the thumb, Skeuomorph will challenge the way you think about mitten construction and the directionality of knitting. 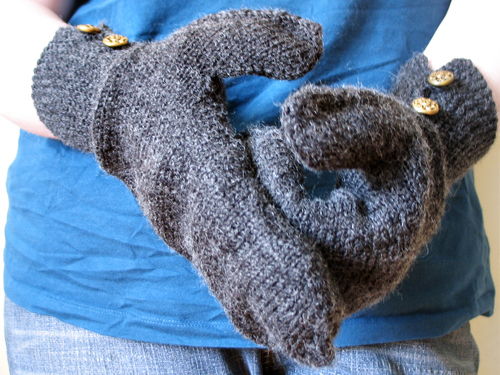 Despite the name, every part of these mittens is fully functional—even the buttons, which hold the cuffs closed without any need for seaming. 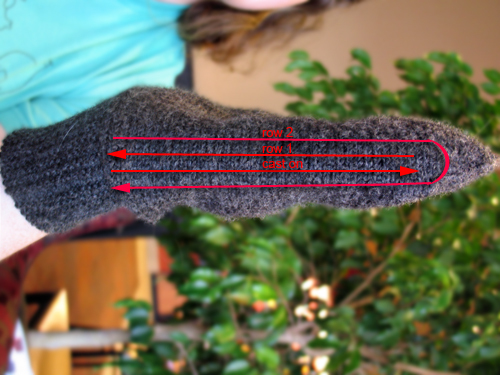 Sizing note: Sizing is based on the height of the mitten, not the width, which is adjustable. Select a size that will fit over your hand with a small amount of ease; the sample mittens are a size M on hands that measure 7.5 inches. Skills needed: Magic cast on, knit, purl, increase, decrease, knitting in the round, kitchener stitch or three needle bind off. Subsequent rows are worked like row 2, starting at the wrist and going up and over the top, then back down to the other side of the wrist.